If your upholstery has lost its luster over time, it's time to call Teasdale Fenton. Our IICRC-certified crews offer a comprehensive deep cleaning service to revive your upholstery and have it looking vibrant and smelling fresh like the day you bought it. Because upholstered items come in various shapes, colors and materials, a one-size-fits-all cleaning approach will not work. Our trained professionals understand the difference between removing stains from a microfiber couch, an acetate love seat and a leather recliner. They will consider special characteristics such as color fastness and dimensional stability of the fabric while deciding whether it is best to use a dry cleaning or a steam cleaning method. Worried about quality? 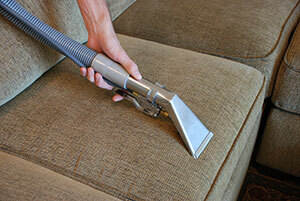 Rest easy in knowing that our upholstery cleaning and deodorizing services come with a full-satisfaction guarantee. Teasdale Fenton has been serving homeowners in the Greater Dayton, Ohio area for more than two decades. Leather furniture is a major investment, whether you are purchasing an item made of full-grain, top-grain, corrected-grain or split leather. Without proper care, leather upholstery will deteriorate with exposure to body oil, dust and UV rays. These contaminants can cause leather to break down more quickly. Our trained technicians use proven methods for safe cleaning and maintaining your leather’s natural beauty. Our pH-balanced, specially formulated solution cleans, conditions and protects against penetration of soil, ink, grease and other damaging substances. It actually preserves the leather’s natural oils to prevent peeling, fading or cracking. Just as many of your fine garments require dry cleaning, often your upholstery needs an effective, waterless method for cleaning to preserve its beauty. 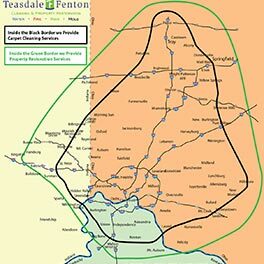 Teasdale Fenton uses the best dry cleaning methods, solutions and equipment to achieve optimal results when dry cleaning your more delicate items upholstered in chenille, linen, silk or jute. 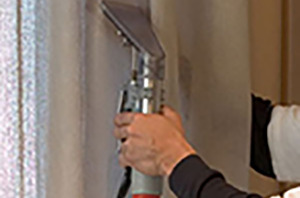 It is essential to match the right method with the right fabric, which is something we have been doing for the past two decades for homeowners in Dayton, Ohio. Cleaning dry-clean-only upholstery with wet methods can ruin fabrics and any stain that requires water for removal must be treated before dry cleaning. At Teasdale Fenton, our cleaning specialists are experts in matching the ideal cleaning approach with each type of upholstered item. Whether you need dry cleaning, steam cleaning or something else, contact us online or give us a call at 937-600-6717 to have your upholstery and furniture professionally cleaned in Greater Dayton, OH.